Salisbury Cathedral has been home to perhaps the best preserved of only four remaining original 1215 Magna Carta since it was first delivered. On 14 February 2015, a brand new exhibition opens using the latest interpretation techniques to bring the documents ancient background and modern significance to life to visitors. 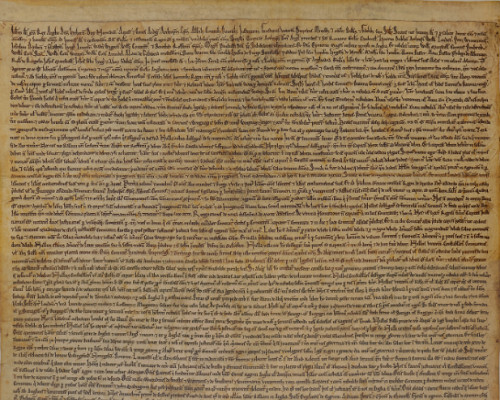 Using displays, media, artefacts, interactive stations and film, this permanent installation will tell the story of how Magna Carta came about and explore its lasting legacy. It will also draw attention to the representations of equality and justice represented in the Cathedral’s architecture. Visitors will also be encouraged to express and share their own views about their civil rights.